Objective: Given Two linked list, check whether both list intersect each other, if yes then find the starting node of the intersection. 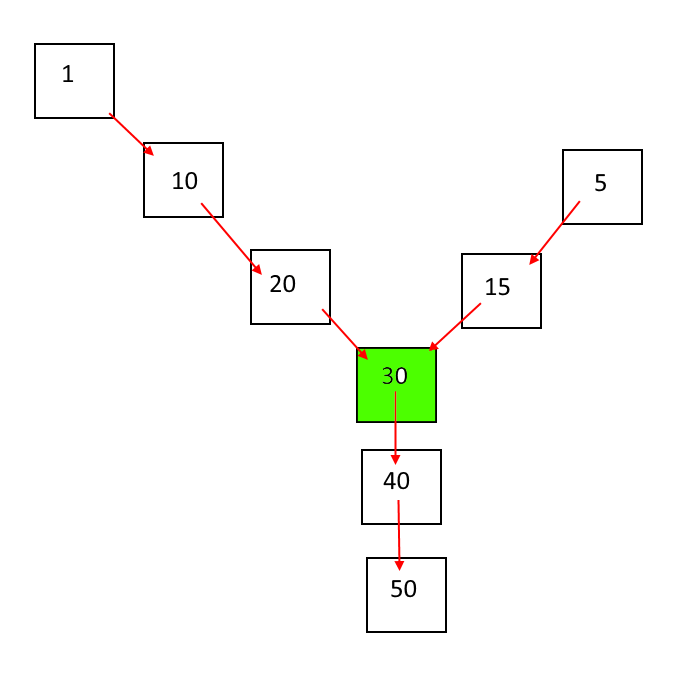 Intersection point means end of one linked list is linked with some node in another linked list and it forms a Y shape. If we reach the end of the link lists then there is no intersection point. Take one linked list and join it both ends. Nor for the second Linked List, the problem is reduced to “Find a loop in a linked list and find the starting point of the linked list. So see implementation, Click here. Starting point will be our intersection point. 252 queries in 0.140 seconds.